Before the genre became overcrowded with endless comic book adaptations, action featured some of the most popular, intense and high-octane series in history, some of which are still thriving with modern audiences. With some set to return to theaters soon, let’s take a look at some of the best action movie franchises from over the years. One of the longer-lasting subgenres of action films is the spy genre, and one of the most popular contemporary franchises in this field is the adaptation of the Robert Ludlum character, Jason Bourne. 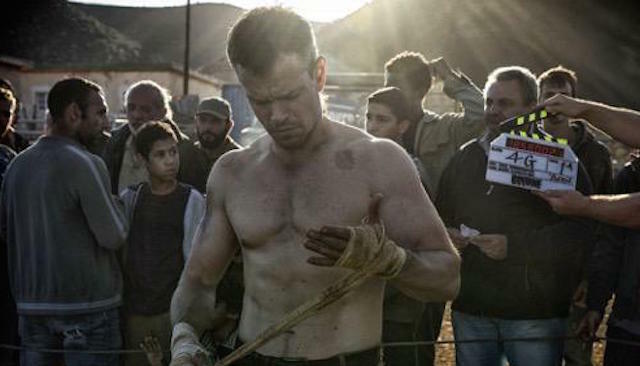 Starting with The Bourne Identity in 2002, the first three films earned widespread praise, especially the third installment, Ultimatum, which received much attention for Damon’s strongest performance yet and the fine-tuning given to the story and action. Though the latter two films, one which saw Damon leave and Jeremy Renner (The Avengers) take the lead role, received more mixed reviews from critics, both still proved to be box office hits, propelling the series’ box office returns to over $1.6 billion across the five films. The future of the franchise is currently up in the air after the fifth film received mixed reviews from critics and audiences, with Damon believing audiences were done with the character, but still being game for a sequel featuring his and Renner’s character working together. Yippee Ki Yay, Mother******. When this legendary phrase is uttered, audiences around the globe have one name come to mind: NYPD Detective John McClane, who’s always in the wrong place at the wrong time. 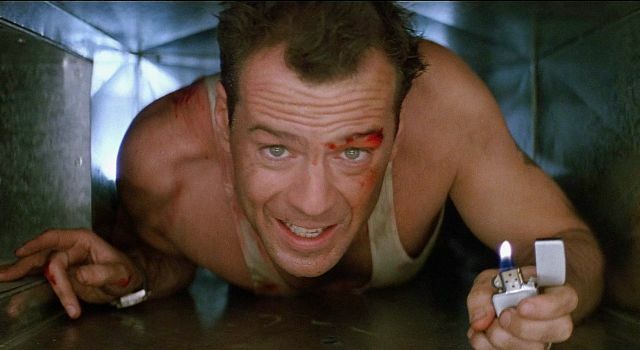 The film series, beginning in 1988, sees McClane pitted against incredible odds against increasingly larger and more maniacal enemies in each film, starting with a hostage situation in the fictional Nakatomi Plaza building in Los Angeles and transitioning to protecting his son across Russia. The first film received rave reviews from critics and is credited as one of the greatest action films of all time, and though the sequels didn’t receive nearly as high reviews, especially the fifth installment, A Good Day, which holds a 14% approval rating on Rotten Tomatoes, it has still received mostly positive reactions over the years from fans and critics. The series is currently in a production hiatus as development has been underway on a prequel film about McClane’s time as a rookie cop in the ’70s, with The Conjuring co-writers Chad and Carey Hayes signing on in March to rewrite the script. You’ve gotta ask yourself one question: “Do I feel lucky? Well, do ya, punk? 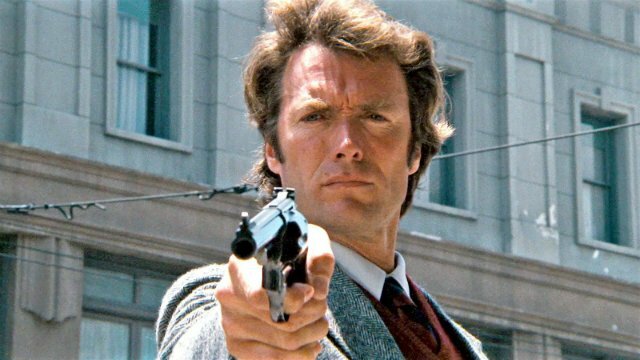 If this is being told to you in a gruff voice, chances are you’re staring down the barrel of a Smith & Wesson 29, the preferred weapon of San Francisco Police Department Inspector “Dirty” Harry Callahan. The classic film franchise was one of star Eastwood’s biggest claims-to-fame early in his career after already exploding onto the scene with the Dollars trilogy, and has gone on to become one of the most celebrated and popular police franchises in cinematic history, ending in 1988 when Eastwood decided he was too old to continue portraying Callahan and didn’t want the character becoming a joke. It’s been referred to as the most bloated and explosive franchise not to be directed by Michael Bay, while also mocked as “The Geriatrics” for featuring casts made up of action stars anywhere in their fifties to sixties and were popular in the ’80s and ’90s. 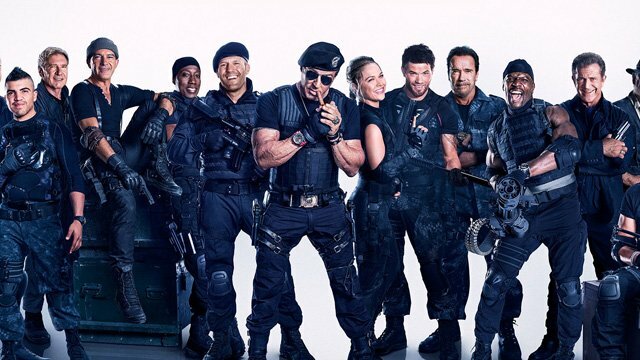 However, it has also been one of the most financially-successful action franchises and has gotten some love from audiences for its outrageous action and meta-humor poking fun at the actors’ pasts, ranging from Stallone’s love for the jungle from Rambo to Wesley Snipes’ character’s imprisonment due to tax evasion. Though the third film featuring the ensemble team of mercenaries was not nearly as well received as its predecessors, a fourth film is in the works with Stallone set to return to lead the team, along with a television spin-off and a female-centered spin-off still in development. When the first Fast and Furious movie came out in 2001, it became one of the surprise smash hits of the year thanks to its unique genre in the street racing field and earned decent reviews from critics and was a box office success. Universal Pictures saw the potential in expanding the series to more than just one film and it has since become the highest-grossing franchise for the studio, as well as the sixth-highest grossing film series of all time, of which the Marvel Cinematic Universe reigns. Following the group of street racers as they progress from bringing down drug lords to international heists to saving the world from cyber terrorists, the family dynamic amidst its stars has been the biggest pull for audiences to come back time again, especially with the seventh installment in the franchise, which saw the final performance of actor Paul Walker as Brian O’Conner, who died in 2013 in a car accident. Despite the major success of the franchise, main star and producer Diesel has announced that there will be a ninth and tenth film in the main series, but the tenth, which is set for an April 2021 release, will be the finale. 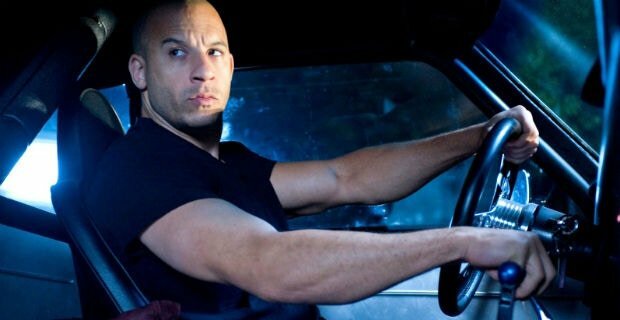 Fans can at least breathe a sigh of relief as the ninth installment won’t hit theaters until 2020 and can instead enjoy the first franchise spin-off, Hobbs & Shaw, following Johnson’s federal agent character Luke Hobbs and Jason Statham’s former antagonist character Deckard Shaw in their own adventure, which is set for a July 2019 release. Steven Spielberg and George Lucas have taken us to galaxies far, far away, given us the need for a bigger boat and brought the largest creatures from the past to the present, but when they weren’t creating these major fantasy realms, they gave audiences the historic hero, Indiana Jones. 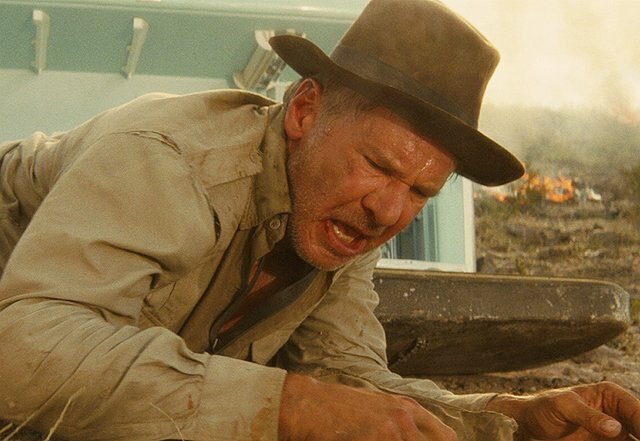 Following an archaeology professor and his adventures searching for some of the most mythical artifacts in history, the films have all earned praise from critics and audiences for its old-fashioned adventure tone, strong special effects for their time periods and the iconic performance from Ford in the titular role. The films have all also proven to be financial successes, and after over a decade of development, Spielberg and Ford will return for the long-awaited fifth installment, which is set to enter production in April 2019. He enjoys long walks on the beach, travelling the world and martinis shaken, not stirred. The name is Bond, James Bond. 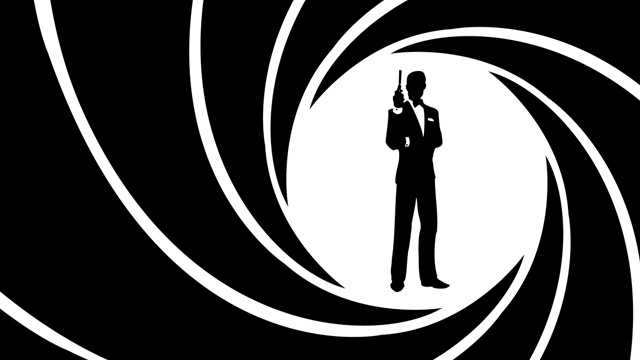 Considered one of the original spy films, the franchise following the famous MI-6 agent has been around for nearly 60 years, and yet it still shows no signs of dying out, the latest iterations with Craig featuring rave reviews and major box office returns. After roughly three years of development and uncertainty, Craig will return to the franchise for the 25th film with Danny Boyle set to direct and co-write the film. 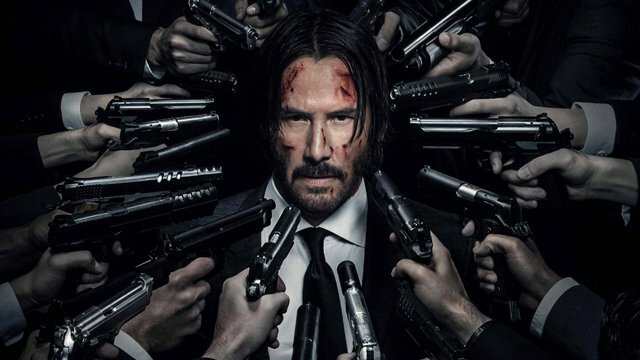 Keanu Reeves was once the highlight of the action genre, starring in big-name titles including Point Break, Speed and The Matrix trilogy, and after a brief time starring in some poorly-received action and drama films, he would return with force to the genre with the John Wick franchise. Set around a retired hitman returning to his former life to seek vengeance, the films have been critical darlings, earning widespread praise for Reeves’s powerful performance in both films, the stylish direction and kinetic action that featured the first major return of gun fu to the big screen, with Reeves doing nearly all of his own stunts. Not only is a third film set for a May 2019 release with director Chad Stahelski returning for the third time, but a spin-off series for Starz is also in the works focusing on The Continental, the chain of hotels used by the assassins in the Wick universe. After taking us on adventures to find some of the most mythical treasures in history, director Steven Spielberg brought the acclaimed Michael Crichton novel to life in 1993’s Jurassic Park, which became the highest-grossing film ever at the time of its release and widespread praise for its visual effects, musical score and Spielberg’s direction. 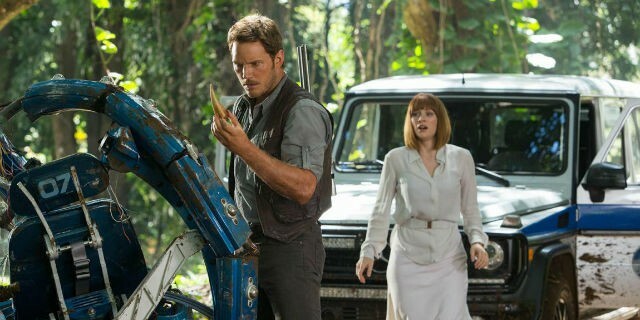 The film became such a huge hit that it spawned two immediate sequels, only one of which loosely adapted a novel, as well as a revival trilogy beginning with 2015’s Jurassic World, which grossed $1.6 billion, placing it as the second-highest-grossing film of 2015 behind Star Wars: The Force Awakens. The second film, Fallen Kingdom, is set for a June 2018 release, while the conclusion to the trilogy and the film series as a whole is set for a June 2021 release. While Die Hard was one of the earliest examples to blend action and comedy in a successful way, the Lethal Weapon franchise has been credited with popularizing the buddy cop subgenre. 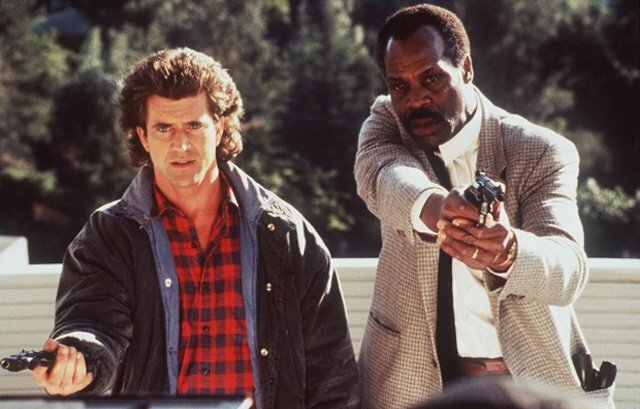 Following near-retirement detective Roger Murtaugh and disturbed detective Martin Riggs, the series initially earned widespread praise for its skillful action and brilliant chemistry between the leads, the latter two films earned more mixed reviews for its weaker stories. After almost 20 years of lying dormant, the franchise returned with a small-screen adaptation of the series featuring Clayne Crawford and Damon Wayans in the lead roles, which has earned generally positive reviews for the chemistry between the leads and solid ratings for Fox. Even with the TV series, another film entry is still in the works, with Gibson and Glover ready to return alongside franchise director Richard Donner for a fifth and final film, but are currently being held up by production companies. 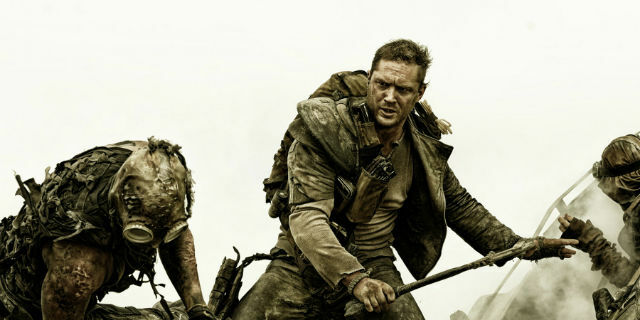 The post-apocalypse setting has been well-worn and well-traversed by a variety of genres over the years, but the Mad Max franchise has been both one of the most influential and longest-lasting entries into this area in film history. Set around a drifter struggling to find his humanity in a world of chaos and violence, the series has earned continual widespread praise for the deep character study on the titular protagonist, as well as kinetic and impressive action sequences. Following a development hell of 20 years due to financial difficulties and the uncertainty fans were ready for another entry after Beyond Thunderdome was criticized by audiences, the fourth entry Fury Road exploded onto the big screen and was hailed as the greatest film of 2015 and one of the greatest action films of all time, making it the second entry in the franchise behind The Road Warrior to hold this achievement. Though franchise co-writer/director George Miller said two follow-up films are written and ready to go, a lawsuit between his company and Warner Bros. has put the franchise’s future on hold. 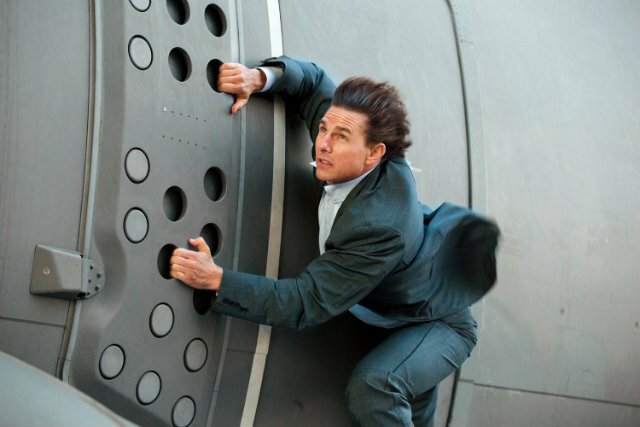 Give Tom Cruise as much hate as you want, but there’s no denying he’s the driving force behind some of Hollywood’s most thrilling action films, including the blockbuster Mission: Impossible franchise. Based on the TV show of the same name, the film series follows Ethan Hunt and his field team at the Impossible Missions Force (IMF) as they tackle various missions that threaten to bring down his agency, as well as kill people around the world. Though financially successful, the first two films were only moderate critical hits, with derision aimed towards the convoluted plots and screenplays, but the latter three films have earned increasingly positive reviews from critics and audiences and major box office success, making it one of the 20 highest-grossing film series to date, with a sixth film set to release July 2018. 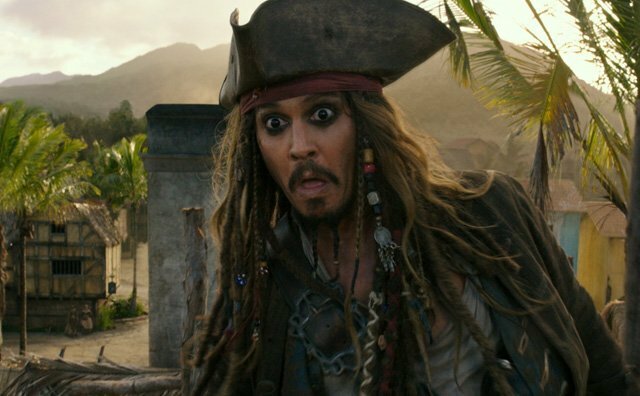 Disney has only worked to adapt a few of their rides for the big screen, but of the ones adapted so far, the Pirates of the Caribbean franchise has been the most successful and everlasting of them all, amassing a large fan base thanks mostly in part to star Johnny Depp’s outrageous and immersed performance as pirate Captain Jack Sparrow. Following Sparrow and his adventures to find some major treasures and save his life from past enemies, the series has earned generally mixed-to-negative reviews following a well-reviewed first entry, but thanks to its large box office returns, it lives on, with a sixth entry still in the air after a post-credits scene in the fifth setting up the return of former franchise mainstays, Orlando Bloom and Keira Knightley. 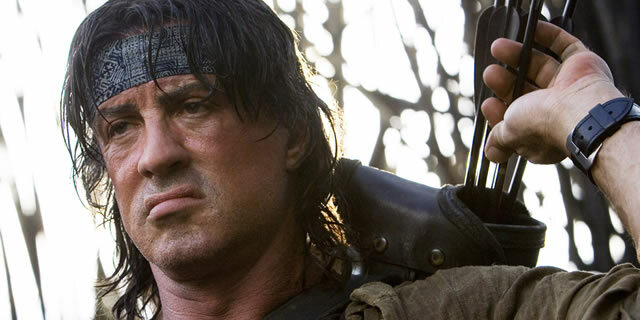 Before he led the team of geriatric action stars, Sylvester Stallone was running through the jungles of Vietnam and Afghanistan on missions for the U.S. Army Special Forces in the Rambo action franchise. Following the titular hero on his missions, the series has not been a critical darling, with the first receiving widespread acclaim for its realistic and somber portrayal of Vietnam veterans back home, while the rest of the films have earned criticism for their lack of decent writing or plots. Nonetheless, the franchise has been a fan-favorite for years, acting as equally one of the most respected and parodied in history, which is currently in a standstill as a TV series focusing on the titular character’s son is still in the works while it is unclear if Stallone will return to the franchise after retiring the character and teasing a return in 2016. Of all the British stars to transition successfully to America, Jason Statham is by far one of the most beloved by fans, appearing in numerous box office hits including the Crank films, the Fast and Furious franchise, as well as the driving series, The Transporter. Set around a freelance driver for hire who always finds himself in dangerous situations regarding his clients, the films earned generally mixed reviews from critics for their lack of original storytelling, while also earning praise for their thrilling action and fighting sequences. Though a spin-off TV series and reboot with new actors were attempted, both proved not nearly to be as successful as the Statham trilogy. 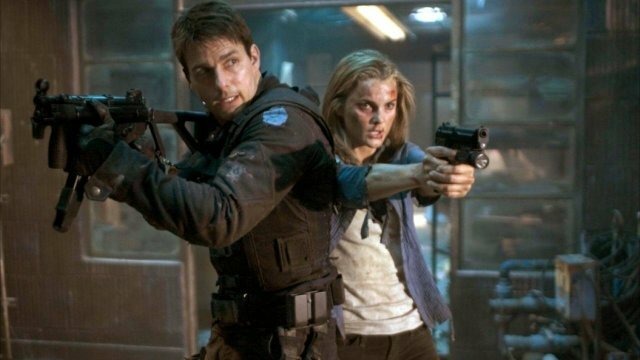 The post The Top 15 Best Action Movie Franchises of All Time appeared first on ComingSoon.net.